MAY 2013 : Last month we saw a host of quality fish including Golden Trevally, Whiting, Mackerel, Barramundi, Bream and Flathead landed by eager anglers from our jetty here at Kingfisher Bay Resort. Many of these fish were caught using rods hired from the Jetty Hut and some were even pulled in by first-time fishers who had just learnt the basics of baiting and casting in our fishing clinics. 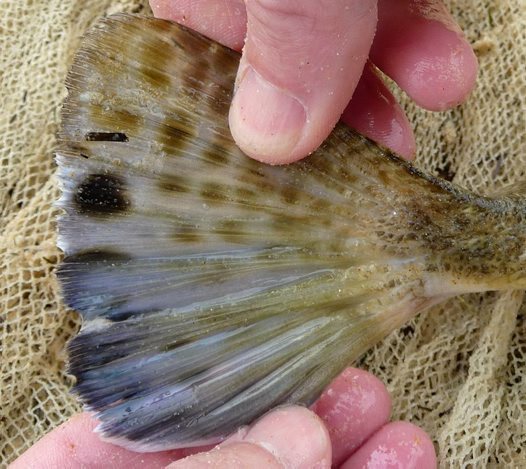 As we move towards the winter months, vast schools of Winter Whiting will be moving into the Great Sandy Strait – the body of water that separates Fraser Island from Hervey Bay on the mainland. When fishing for Whiting, I recommend Prawns or Squid from the Jetty Hut (using Squid will let you catch more fish before re-baiting). The deeper water at the end of our jetty is a great spot to target these sporty fish and, if you’re lucky enough to get one on the line, you’ll have loads of fun reeling it in. If you land a keeper why not take it to The Sand Bar (after you’ve cleaned it), where the chefs will be more than happy to cook it up for you and serve it with some hot chips! But, we humans aren’t the only ones that find Whiting delicious. 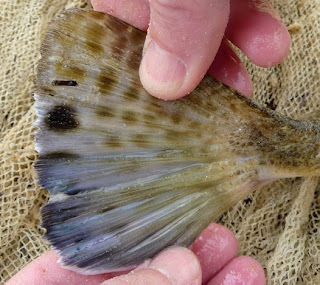 A whole host of larger fish prey on Whiting and this makes them great to use as bait. This month there was no shortage of baitfish around the Jetty and towards the end of this month, we saw plenty of large Bream and Mackerel being reeled in on live Whiting, Herring and Pike. If you’re an eager fisherman like me then you’ll know there really is no substitute for live bait and the best option is to grab a bait jig from the Jetty Hut and catch your own. Hot tip: Please use the specially-designed TAngler bins at the end of the jetty to dispose of your old tangled fishing line, bait bags and hooks. It’s great for the environment. As autumn fades we will see an increase in the amount of Whiting and Tailor in and around Fraser Island so, if you’re staying with us, wake up early, grab a bit to eat and head on down to the Jetty Hut where you’ll find all you need to catch yourself a fresh fish meal. * Though this particular fish was undersize and was thrown back, the Spanish Mackerel can grow up to 2 1/2metres long and weigh in excess of 40kg. * This species is generally found offshore around coastal reefs and are often targeted by recreational anglers as they put up a good fight. Check out our Instagram page for this shot and more. * The Dusky Flathead varies in colour from a dark greenish/brown to a pale fawn/brown with a blotchy appearance. Look for a dark blotch on the tail for easy identification (see right). * The legal size for this species is 40cm (min) and 75cm (max). * GTs are large predatory fish is commonly found in inshore waters around reefs and sandy substrates just like those in the Great Sandy Strait. * Easily distinguished by its lips and unique colouration, the Golden Trevally can grow up to 120cm. 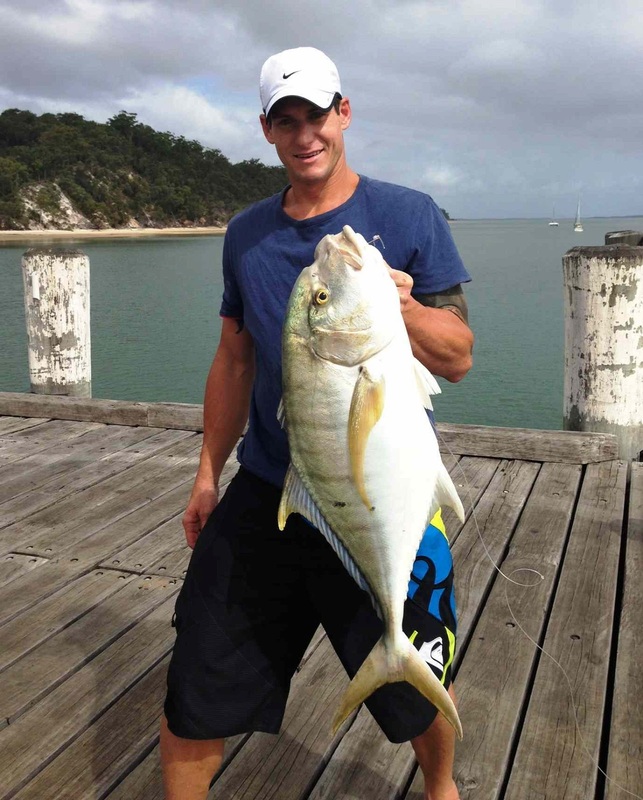 * Ben did well to land this 90cm, 10kg Golden Trevally and deserves his spot as one of our TOP fish hunters.